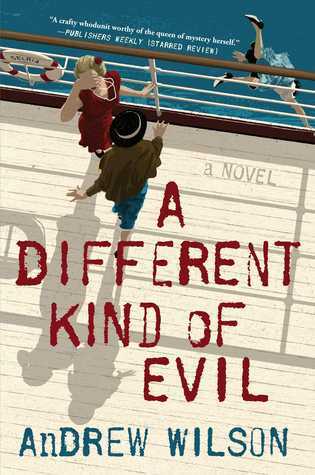 I've always been a huge fan of Agatha Christie, so when I was given the opportunity to read A Different Kind of Evil, I immediately agreed. I was very intrigued by the idea of reading a murder mystery written about the Queen of Mystery herself! This novel is the second in a series, and although I would have loved to have read the first book in the series, I didn't find that I was missing much necessary information. The reader follows along as Agatha, her daughter, and her nanny travel to the Canary Islands in order to assist in solving a murder. While aboard the cruise ship to her destination, Agatha witnesses a suicide and begins to slowly meet each of the characters who play vital roles in her time on the Canary Islands. I truly loved this novel and enjoyed the different characters who each had so much to add to the story. The writing was fun and fast paced, and with each turn of the page, a little more of the mystery was unraveled. I kept thinking I knew how it would end but with every page came a new clue or a new suspicion. I would highly recommend this novel to readers who love crime and suspense novels! It was such a fun read and I look forward to more from Wilson! Thank you to Atria and NetGalley for offering this novel in exchange for an honest review.